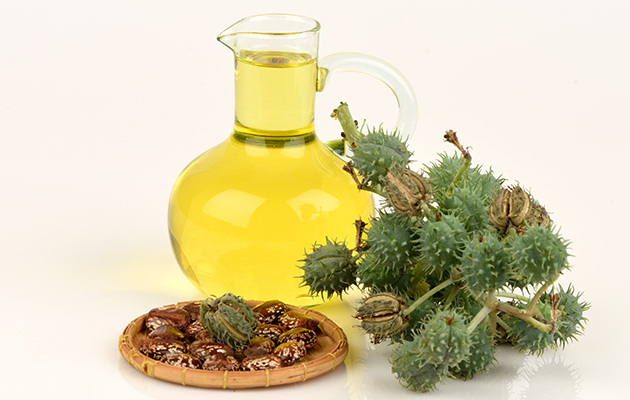 Castor Oil is expeller pressed from Ricinus communis seeds through a mechanical process and is further refined and filtered to result in a bland, lightly tinted oil. This popular ingredient is highly sought-after for its natural moisturizing and emollient properties. USP grade castor oil is widely used throughout the cosmetic and personal case industry for standalone applications as well as an integral ingredient in formulations. Common products manufactured with castor oil include soap, hand creams, hair conditioners and balms, styling products and everyday topical cosmetic items. Additionally, castor oil is also used for several industrial applications such as in the manufacturing of lubricants, coatings and adhesives. Castor oil is working great for my chapped feets and rashes. Going away and so thankful i don't have to take pills to get rid of my skin problems. Amazing Oil to help your hair grow back thicker. This is just superb ! The hair growth is super fast and noticable. Great shea butter from mudfarm as well with other products are great quality and organic. I had an allergy in my scalp last 10 months ago that made the back of my head bald. I was really desperate to try some hair growing product to bring my hair back. I read most of the articles in google and found out castor oil is one of the greatest products for hair growing but there are lots of castor oil brand. I tried this product because of the good reviews, and ingredients because my scalp was really sensitive. And I didn’t expect the outcome of this product! And aside from the outcome, my hair became softer than before and thicker, and 1 bottle of this castor oil lasted almost a year. Click the button below to add the Castor Pure Carrier Oil to your wish list.